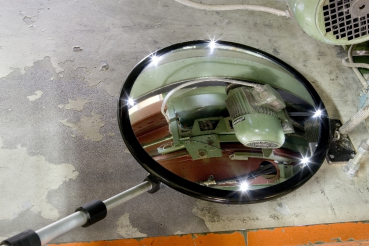 The inspection mirror is ideal for maintenance and control of vehicles and machines. Areas that are difficult to access can be inspected and controlled easier. The mirror is easy to handle because of its very low weight and the attached wheels.The inspection mirror is ideal for maintenance and control of vehicles and machines. Areas that are difficult to access can be inspected and controlled easier. The mirror is easy to handle because of its very low weight and the attached wheels. The TÜV-certified inspection mirror is made of impact resistant acrylic. The mirror is fixed with silicon in a stable frame. The silicon avoids the penetration of water. Therefore the mirror can be used outside as well. The ball-bearing wheels made of steel are surrounded by soft Polyurethane and offer a high rolling comfort. The telescopic arm is made of anodized aluminium with a solid soft handle for excellent grip. 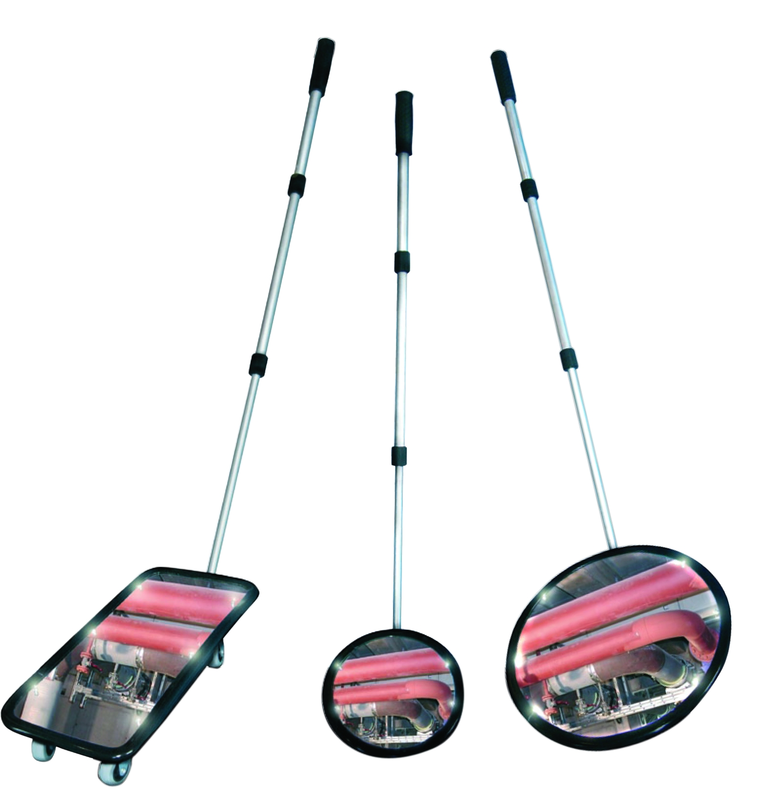 The telescopic handle can be extended from 40 – 110 cm. The handle can be folded under the mirror for minimum storage.